I’m back! Yes, after a change in living situation, I am back and writing once again and what an event to write about. Yes, I said event because tonight thanks to my lovely girlfriend, I was able to see a screening of “The Grandmaster” that was followed by a question and answer session with the director Kar Wai Wong and none other then Martin Scorsese. That’s right! That is absolutely right. I saw Martin Casino Scorsese in the flesh! And it was amazing. I have a video and pictures to prove it. But I digress, this is a movie review site after all and I should review the movie. “The Grandmaster” tells the story of Ip Man who trained Bruce Lee and helped make kung fu what it is today. Tony Leung plays Ip Man and Ziyi Zhang plays his love interest Gong Er. 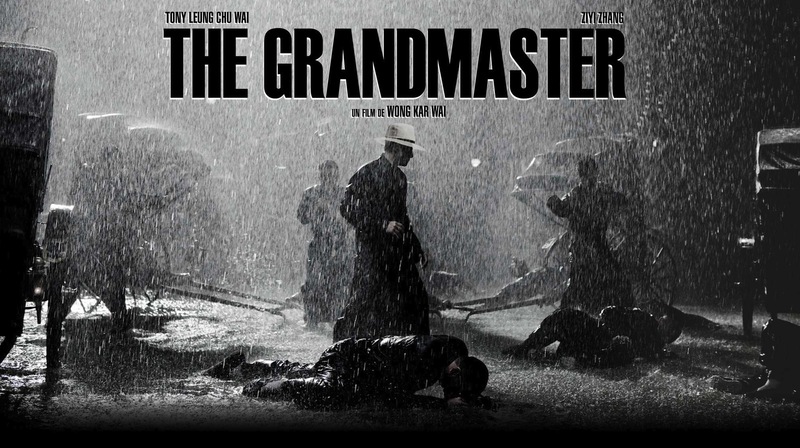 “The Grandmaster” begins in the 30s and ends in the 50s covering the wars and strife that occurred in between, all the while showing the struggles of Ip Man and his lady Gong Er to make kung fu the best that it can possibly be. This movie begins as one film and ends as another. The first scene involves a series of fights with unknown assailants against, you guessed it, Ip Man. This scene appears to set the tone for how the film will continue, with various fight scenes and some amazing cinematography. But, alas it does not. Half way through the film, it changes from a kung fu action film to a slow paced historical romance, with scenes often dragging on. There are also a few documentary elements thrown in there when individuals on screen have their names written directly below them. It was a bit confusing. The climax fight of this film suffers from this confusion and just falls apart into a bland unexpected fight. Now, I understand this film should be viewed as what it is, meaning that I wouldn’t compare “Scary Movie” to “The Last of the Mohicans” because both of these films were made for different reasons. This film was made to depict the life of Ip Man which I understand but what the director should have done is shown it either as a historical drama or a kung fu action film. In the beginning, we see Ip Man training and learning various fighting styles similar to that of a Rocky montage and this would have been great if it was solely a kung fu film, but sadly, it wasn’t. The director tried to cover too much in different ways. I also wish to comment on the way these fight scenes were shot, in that, they were shot in a very unoriginal kung fu style, in that there were close ups of hands, feet, and faces. Now, I understand that these shots were a form of homage to old school kung fu films, however, I personally do not like these shots. I think they take away from the scene as a whole and often come across too quickly and because of this, I have some difficulty following how the fight scenes are occurring. My personal preference for a way to shoot fight scenes were how they were done in “The Raid: Redemption” and “Oldboy”. I love the long continuous shots that encompass everything within the scene. Those type of shots are my absolute favorite because you can see how a fight progresses and just how painful some of the blows actually are. Conclusion: This movie is a possibly stream-worthy or not even watchable in my opinion. It’s two films pushed together and suffers from this. But before I leave you, I just want to say that the director Kar Wai Wong was absolutely fantastic and equally hilarious. He put a lot of time and effort into this film and even informed the audience that it took him 3 years to shoot it and that many master of various kung fu schools were involved with the making of this film. Truly inspiring. I’ve included a video clip where Martin Scorsese and Kar Wai Wong discuss the use of music while filming. Enjoy!